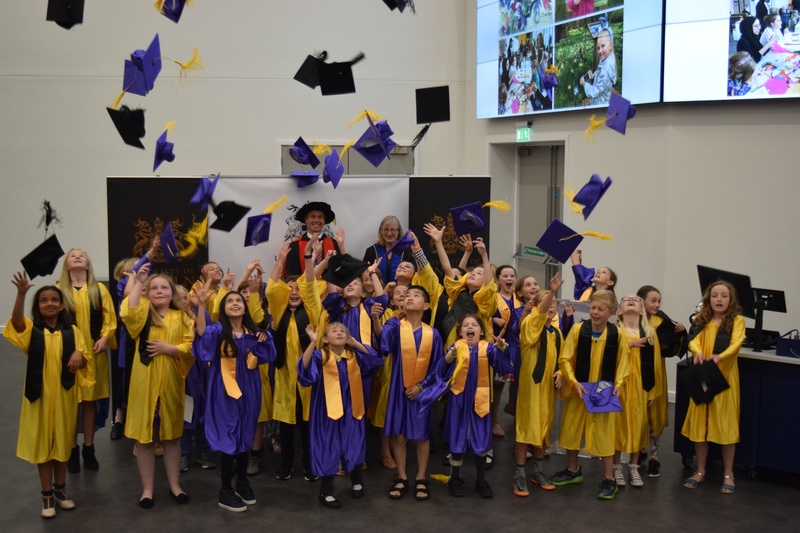 Representatives from Bishop Grosseteste University (BGU) came together with staff at the University of Lincoln to celebrate the Lincolnshire Children’s University (LCU) Graduation ceremony. Held at the University of Lincoln (UoL) on Tuesday 19 June 2018 the ceremony marked the culmination of school children achieving at least 30 hours of learning activities. 34 children were honoured for their efforts with one graduate achieving the Gold Postgraduate Award for attending 565 hours of activities; an achievement that was recognised by the awards committee as “phenomenal”. Professor Carenza Lewis, Professor of Research at UoL and former member of Channel 4’s Time Team, is the Patron of the LCU and provided a fascinating lecture on ‘Digging the Black Death’ as part of the ceremony. This was followed by the official awards presentation by Dr Thomson and Professor Toby Wilkinson, Deputy Vice Chancellor of the University of Lincoln. The LCU is a joint venture between the UoL and BGU, Claire Thomson is chair of the Steering Group. The CU is a national charity who work with children, schools and learning destinations with an aim to provide educational experiences and raise aspirations about their future. You can find more information on the learning and community projects carried out by our CELT team on our website.